I'm sure you've experienced alternate schedules, where you see some students for longer than others. These could be caused by delays due the weather, state testing, assemblies, drills, or unplanned circumstances. Because lunch periods cannot be shortened, I have two classes (which occur during lunch periods) which I always see for a full 40 minutes when other classes are shortened. On days like these, I like to do enrichment activities or fun review activities. 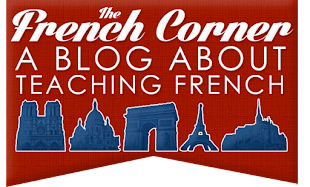 These are activities that are conducted in French that you just may not have time for in your other classes, or that you've done before but are worth repeating. These activities also happen to be great for the day before a break or on a field trip day when many students are absent. Most students love the idea of gathering around on the floor and listening to the teacher tell a story. It gives them nostalgia for their elementary days. Sometimes I read a Storybird or other digital story, such as Le temps quail fait, Ma famille, or Les couleurs. MFL Storybirds has a nice compilation of Storybirds to look at. Another option is to read a hard copy book. I have a collection of books in my classroom that students can look at before class starts or if they finish a task early. 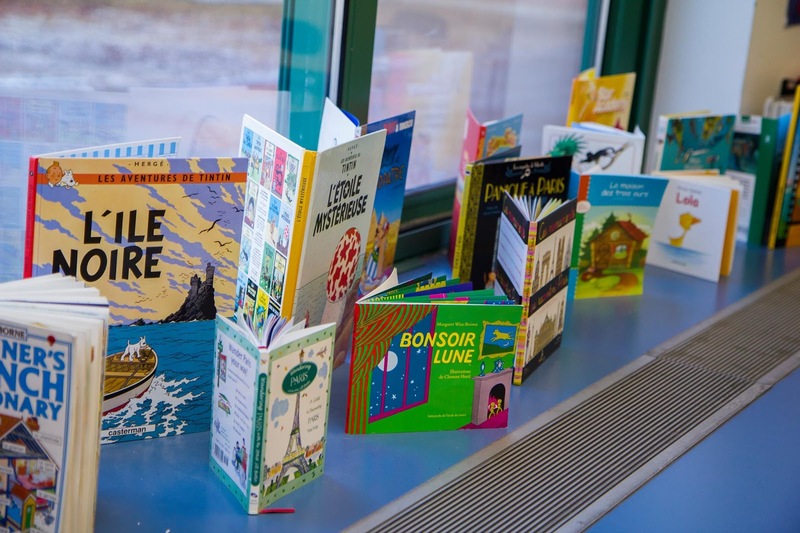 Two favorites from this collection that I have read to students are Bonsoir Lune / Goodnight Moon (French Edition) and Mon Livre Animé Paris (a really neat pop up book), both of which I bought in Paris. 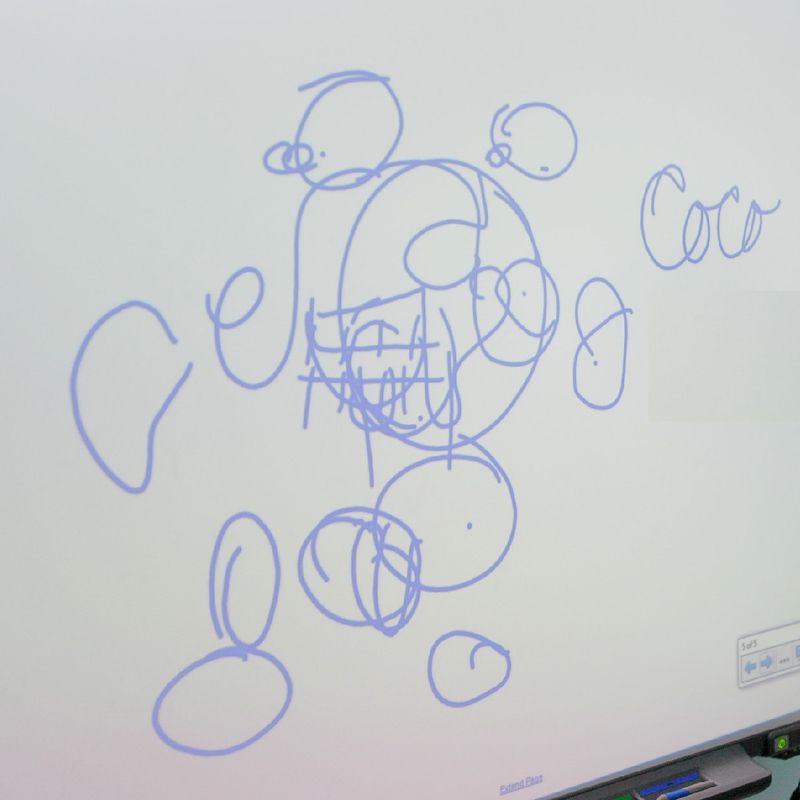 In my last post, I described this fantastic activity which I learned about through Martina Bex, which is sort of like telephone with words and pictures. Read up on how to play on my blog post or hers. I'm certainly not suggesting that you save reading any authentic articles for alternate schedule days, but why not include one here as well? I wrote a post last year about how to find authentic resources online, and Martina Bex (once again!) has wonderful materials on her website about how to use authentic resources with students. 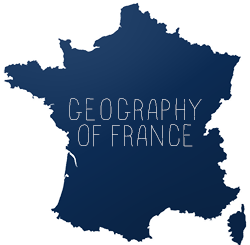 Why not just let your students sit back and enjoy the beauty of the francophone world? To make the experience more interactive, students can call out dominant colors they see, or landmarks (if it's a place with which they are familiar). Last year I wrote posts showcasing 17 Videos That Showcase the Beauty of Paris and 10 Time Lapse Videos That Showcase the Beauty of the Francophone World. If you prefer older footage, I also wrote a post on Vintage Footage of the Francophone World. Boggle is popular game to play in elementary school classrooms. I believe I first discovered it on this blog. The teacher creates grids, each square containing a letter. Students work in groups to see how many words they can come up with using only the letters in the grid. To make it a bit more challenging, I make the students use the word in a sentence (and then underline the word they formed from the grid). Words must be at least 3 letters. Students' creativity can really come alive with just a little prompt. Show three photos or drawings on the board and challenge the students to come up with a short story or a really long sentence incorporating each image. I have some old VHS tapes of Disney Sing-Along songs. Rather than have students just sit and watch, I turn it into a competition. I have students in groups write down any words they recognize and what them mean. The group with the most words wins a prize. What activities do you like to do on alternate schedule days?